AS THE SHADOWS OF THE Empire loom ever larger across the galaxy, the Rebellion has learned of a sinister Imperial plot to bring entire worlds to their knees. A machine of unimaginable destructive power is nearing completion. 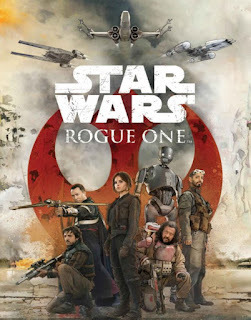 If the worlds at the Empire’s mercy stand any chance, it lies with an unlikely band of allies: Jyn Erso, a resourceful young woman seeking vengeance; Cassian Andor, a rebel commander on a mission of assassination; Bodhi Rook, a defector from the Empire’s military; Chirrut Îmwe, a blind holy man and his crack-shot companion, Baze Malbus; and K-2SO, a reprogrammed Imperial droid. In their hands rests the New Hope that could turn the tide toward a crucial Rebellion victory— if they can capture the plans to the Empire’s new weapon. But even as they race toward their goal, the specter of their ultimate enemy darkens the skies – the Death Star. 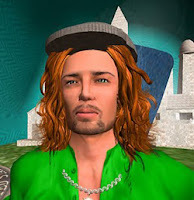 We will be presenting simultaneously on both opensim in Kitely and in Second Life. Audiences of both grids will be able to freely chat to each other during the performance via local text chat AND will be able to see the audience in the other grid!! This is a really cool bridging of the Grid Divide!